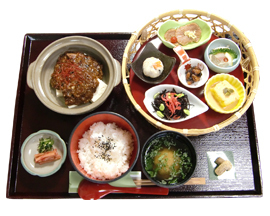 The set includes Oboro-dofu the fresh tofu made of natural bittern from the pot without immersing under cold water, and flavored tofu with seasonal ingredients. 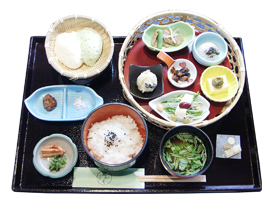 ・Roasted soybeen fibre of "Mamagotoya"
Using white bran, the by-product of polishing rice for sake production, we make batter on the surface of tofu with velvety texture. 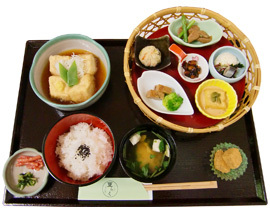 It is a fancy tofu fritter served in Japanese broth. 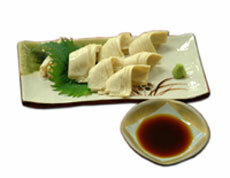 Chicken-based broth is blended with Japanese soup stock, and seasoned with mirin, soy sauce and touchi. 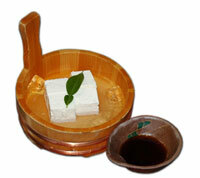 The smooth tofu texture with chilly taste is great with rice. The ingredients may vary with the seasons. All the prices on this menu are tax inclusive. ※Please refrain from taking out any food.